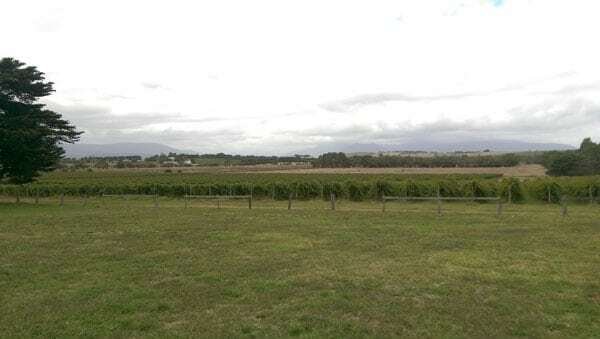 Yering Farm is just down the road from Yering Station and is an absolutely adorable winery. And it has such a cute, old, Australian farm vibe. The cellar door and wine tasting is inside a converted old barn, and while the space is quite small compared to some of the other wineries we visited, it was a very open space with a very long bar. So even though we were sharing the space with several other groups it was cosy without being cramped. 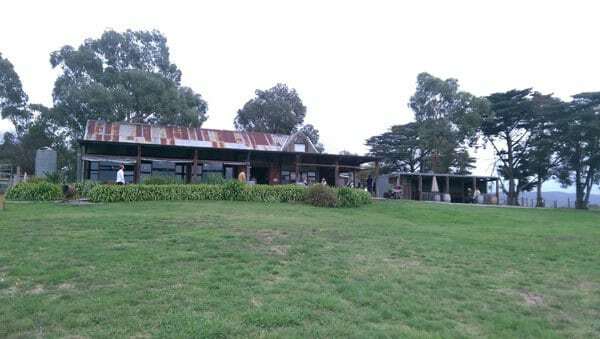 There’s also a great flow from indoor to the covered veranda area, and so there were a few people also sitting around the tables outside, enjoying a drink and taking the beautiful farm scenery. 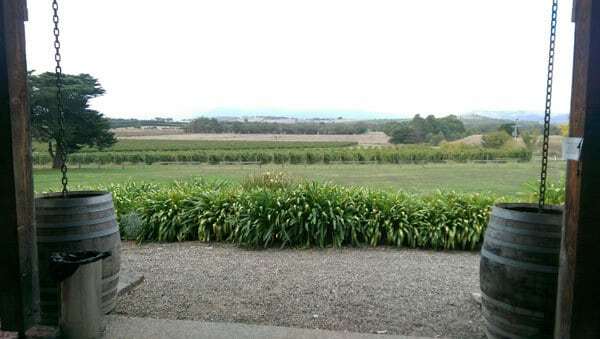 The outdoor space has a reasonably large, gently sloping yard, surrounded by vineyard and farms. They even had sheep roaming around just on the other side of the fence. Even though there’s no gardens or manicured grounds, there was something so beautiful and charming about really feeling like you’re on a real, working, farm. 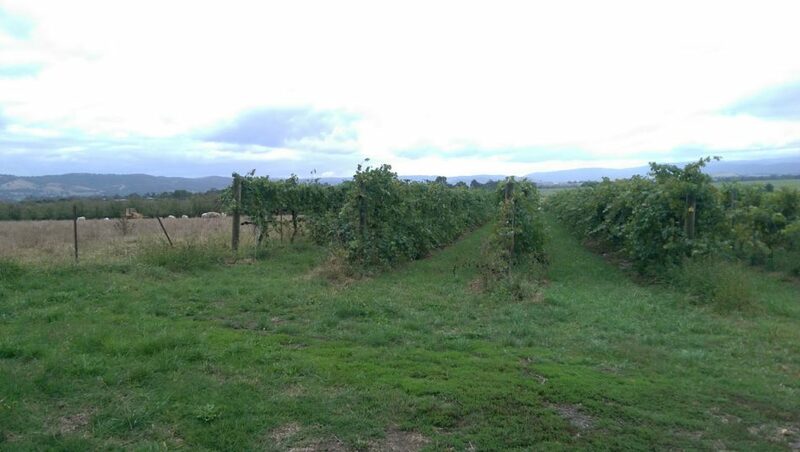 Of all the wineries we’ve been to so far Yering Farm would most suit me for a wedding venue. Maybe because I grew up rurally, so the relaxed country vibe of the place really appealed to me. 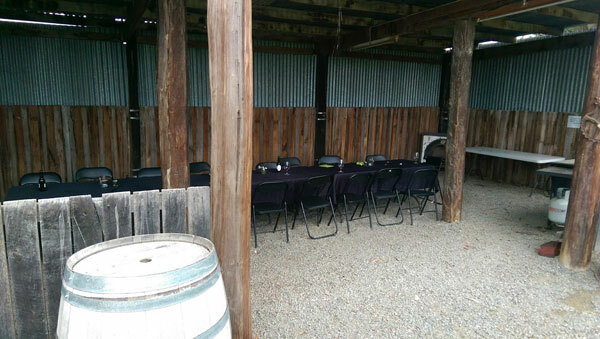 Because of the open spaces Yering Farm can accommodate a large wedding, up to 150 people. Check out their wedding page for more information. 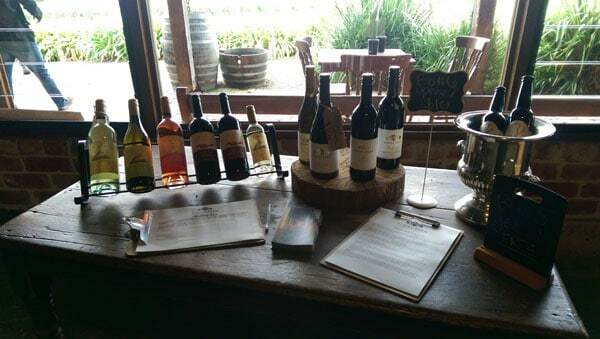 For group wine tasting you will need to make a booking, but for small groups of less than ten people you can just turn up, and the tasting is free! Because of the large, reasonably flat, open yard and relaxed, informal vibe, Yering Farm would be a great place for young children. There’s no stairs so it’s all very accessible for prams, provided your pram can handle a bit of gravel and grass. While we were there a family were sitting up under the verandah watching their toddler run around on the grass (She was chasing a butterfly. So ridiculously adorable.) Though only drawback is older children could possibly get a little bored as there’s nothing really to see or explore. But they might enjoy having a chat with the sheep over the back fence. Pink Lady Apple “Syder” – The cider was polarising. It was very floral, tasted more like apple blossoms than apple. So for someone who preferred a more floral cider it was apparently very pleasant, but a couple of us strongly disliked it because we want our cider to taste more like fruit. Oh how pretty is it! Plus- wine!!!! Wine is always the best. What a gorgeous winery, such a rustic feel to it. How good does wine on a Wednesday sound! ? Looks cosy in a good way! It does look like a nice place for a rustic wedding too. When we were there the girls I went with started planning my wedding there…. not that I have any immediate plans to get married, but it really just seemed like the perfect venue for me. Oh it looks so sweet and comfy! I love it – old school but really pretty. It looks like a lovely break. This looks like a great place for a wedding! This looks like a very spacious place! And great for a wedding! Love when they make wineries kid friendly. Everybody wins! Looks lovely! Will have to recommend to my wine-tasting friends! Oh lovely! We just came from a winery road trip in Margaret river and I don’t mind going for another winery trip. ?? It’s the bomb! Love a good winery tour! ?